1. A DIGITAL photo card that will be emailed to you for you to print out at home, photo store, print shop, or email to friends & family. 2. Printed Cards on Card Stock* - Choice of Pearl Card Stock, Linen Card Stock, Recycled Card Stock or Regular Card Stock (*Envelopes Included). Ships to US ONLY via Fed Ex. Contact me if more than 100 cards are needed. TURNAROUND TIME - Please see my Shop Announcement or Policy Section for current turnaround time. IMPORTANT - Please read the POLICIES Section of my shop. ----> The EXACT wording you would like on the design. If you want them cropped, please let me know how you prefer. 4. Buyer must proofread and then either approve and finalize or let me know of any changes. I am NOT Responsible for any errors in printing. Please make sure everything is correct. Need to contact me within 2 days of receiving cards with a photo of any problems. ***I am easy to work with and will do a reasonable amount of changes to your card for no extra charge. However, additional charges may apply if there are many changes or changes after the card has been approved by buyer. This card/invitation can be changed into a different type of card/invitation. 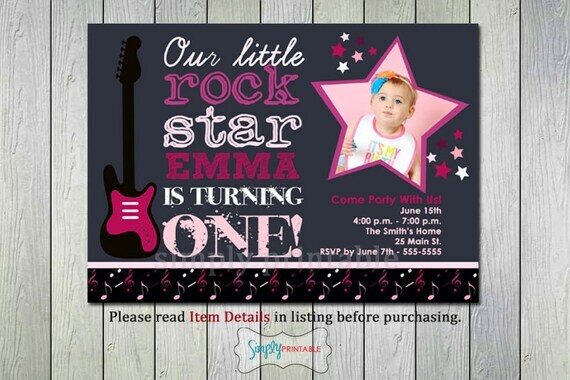 For example, birthday invitations can be changed into thank you cards or bridal shower invitations can be changed to birthday invitations, etc. Colors can be changed on most cards if needed. *You are NOT permitted to copy any of my designs.